You'll be £25.00 closer to your next £10.00 credit when you purchase The Waterloo Archive: Volume I. What's this? The wealth of hitherto unseen British material contained in Volume I includes: a series of letters written by a senior officer on Wellington's staff to Sir Thomas Graham immediately following the battle; the letters of a member of the Wedgwood family in the Guards at Waterloo; the journal of Sergeant Johnston of the Scots Greys, detailing all his experiences, including a very rare transcript of his own court martial; and letters from eminent surgeons – including those of Hume, Davy and Haddy James – who recall their harrowing tales of the horrific wounds suffered at Waterloo. In addition to these letters and journals, this volume will include 21 original line drawings created by Cavalié Mercer to accompany his famous book on his experiences at Waterloo, but which was never published. Subsequent volumes will include French, German, Dutch and Belgian material that has never been translated into English before. This collection of letters and diaries from British Troops involved in the Waterloo Campaign is a must have for all those who have an interest in this Napoleonic period. I own over thirty books which are wholly or largely about the Waterloo campaign and this book was still an eye opener. Not only does it enrich one's understanding but also moves one's emotions. ... This is the first of six volumes and I am looking forward to reading the remaining five well before my visit to the battlefield on the 200th anniversary. I recommend you do the same. 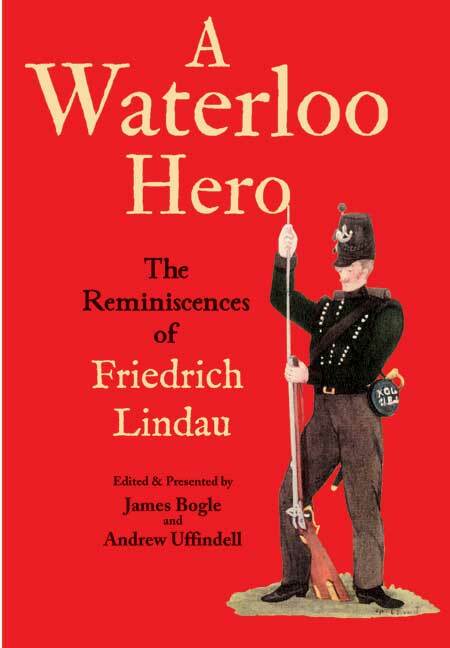 The sheer depth and richness of personal accounts and other documentation associated with the battle of Waterloo is demonstrated by this collection of British sources about the campaign. The book is a veritable treasure-trove of material. This volume is to be followed by others providing translations of information in other languages which are worth looking forward too. I am 129 pages into this fascinating book on Waterloo Archive sources Volume 1: British sources by Gareth Glover. Hot of the press and 'at last' into my grubby hands for perusal, and I must say, so far already, some of the eyewitness accounts are new to me and are a fascinating individual take on the famous campaign. Also included are some beautiful and macabre watercolour sketches of the main landmarks of the battle, Cavalie Alexander Mercer's correspondence with fellow RHA officer, Henry leathes, that lays open the bitterness he felt at the lack of recognition for his deeds on the day, and his twenty two pencil sketches are also included. The other good thing about the correspondence is that all the eyewitnesses to General Ponsonby's death puts it down to a ball to the chest and not from a lance thrust as 'iIrc, the feature film shows and some historical tomes state. This book is the first of SIX volumes to be released before the 200th anniversary of the battle, they will be from French, Dutch, German and Belgian sources and if they are as good as this volume seems to be, then I for one will be pining for those others when alas I finish this noble tome. I cannot say enough about Volume One of The Waterloo Archive. It is an incredible collection of primary sources that provides the perspective of the junior officers and enlisted soldiers of the final campaign of the Napoleonic Wars. I strongly recommend that you do not wait to buy this book. It will quickly become a collector's item! Glover successfully uses the wealth of material at hand to reconstruct the British perspective on the battle. From the general viewpoint of those officers, sergeants, privates, doctors and civilians, the real winner of the battle was the British army; the Belgians deserted and the Prussians waited until the British victory was clear before launching their attack. Of great importance from a military standpoint is the statement that the battle in reality was a one of artillery, as well as the important role played by the defence of Hougomont in the final victory. Something that also may surprise the common reader is the very good use of English language from the sergeants, a literacy attributable to the rise of Methodism in the army during these years. Glover, with the help of Martin Mittelacher, an American with German roots, has prepared translations of German and Dutch source material for upcoming installments. After reading The Waterloo Archive, volume I, Napoleonic enthusiasts will no doubt await publication of the next five volumes of that monumental project with high expectations and perhaps some impatience. A superb collection of material that will absorb the knowledgeable and the newcomer alike.